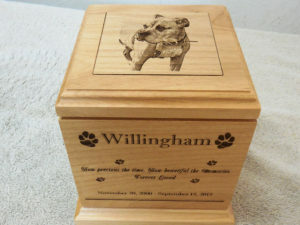 If you are looking for a large personalized dog urn. 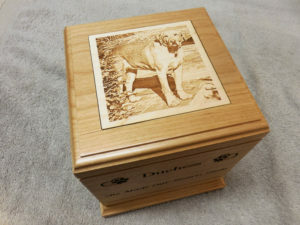 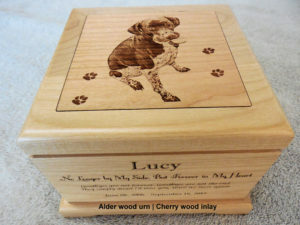 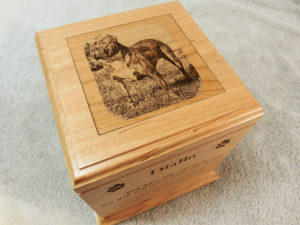 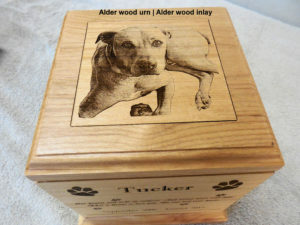 This urn is made of solid Alder wood with a laser engraved contrasting or matching wood, inlay. 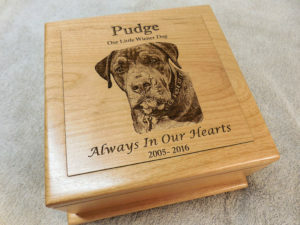 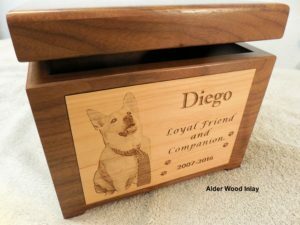 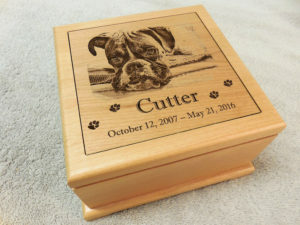 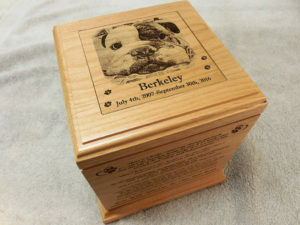 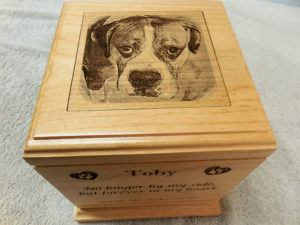 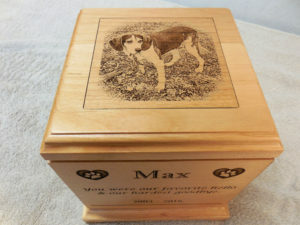 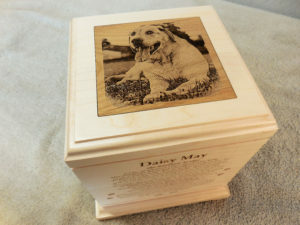 If you need a personalized pet urn for your large dog, I can fill your need.